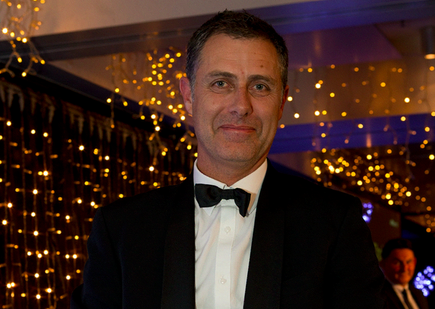 Network security provider strengthens Kiwi ties with Exeed and Snappernet distribution deals. Sophos has appointed Exeed to manage distribution in New Zealand, upon completion of a tender process which also sees Snappernet take on the network security provider’s expanded portfolio. After reviewing its Kiwi distribution earlier this year, Sophos - who recently cut ties with Connector Systems - will now be primarily represented by Exeed on the ground in New Zealand, driving its local growth strategy across the country. 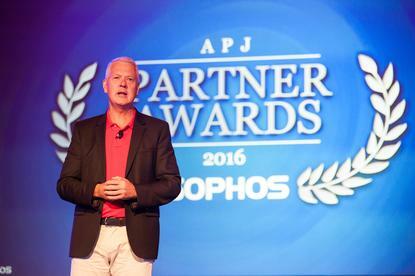 “Sophos offers a range of exciting, unique cloud based solutions, which open up a new class of business opportunities for our partners,” says Ashley Wearne, General Manager of Australia and New Zealand, Sophos. When speaking to Reseller News, Wearne says there was no “conscious decision” to opt for Kiwi born and bred distributors during the review, confirming that the vendor explored the entire market before making a decision. “We already had a relationship with Snappernet through their focus with the smaller partners and we believe Exeed brings a good combination to this through their work across the entire market,” he explains. According to Wearne, Sophos’ New Zealand review was scheduled in advance of Ingram Micro’s recent acquisition of Connector Systems, insisting that the deal did not trigger a distribution rethink. “The review was already underway so there’s no link in that respect,” he explains. “But it obviously changed the scenario because Ingram Micro has a very different product portfolio compared to Connector Systems. As reported by Reseller News, the Ingram Micro acquisition brought 45 new vendors on board across both sides of the Tasman. Vendor portfolios aside however, Wearne says Sophos sought advice and guidance from its current partner base during the process, with Exeed coming out as the overriding distributor of choice among the Kiwi channel. “Resellers spoke highly of Exeed and the services they receive,” he says. “We put all distribution names in front of our current resellers and it was overwhelming in terms of their choice for who they prefer to deal with. Wearne says Sophos recently introduced Sophos Central to the trans-Tasman market, providing a centralised platform for all partners to manage Sophos solutions for every customer. Within Sophos Central is Sophos Central-Partner, a specialised dashboard that allows partners to distribute licenses, add new customers on demand, cross and up sell services, drive recurring revenue and possess real-time perspective on all customer activity. In short, Wearne says Kiwi partners can respond to security incidents faster and track alerts of all levels directly from the dashboard, so time spent handling incidents, including minor ones, is more “productive and effective”. “Exeed is delighted to have been selected as the Sophos distributor in New Zealand,” adds Justin Tye, Managing Director, Exeed. “We see this as an endorsement of our focus and growth in the IT security business, and of our track record of developing new agencies. “Sophos offers a comprehensive end to end solution, which we believe both complements and extends our capabilities in managing and securing networks. Meanwhile, Sophos also expanded its business relationship with Snappernet, one of the largest specialist security distributors in the New Zealand. Under the new agreement, Snappernet will be able to offer Sophos XG and Sophos Central, helping customers to upgrade to the Sophos Synchronised Security solution. A New Zealand owned and operated company, Snappernet offers a wide range of networking and communication products and applications, with a strong emphasis on service and technical support. For Wearne, the addition of Sophos XG and Sophos Central to its existing portfolio of Cyberoam technologies provides even more of a compelling offering for resellers. “No other company is close to delivering the type of synchronised communication between endpoint and network security products, as is offered by Sophos Synchronised Security,” he says. “And now with Sophos Central providing one single pane of glass to manage multiple security solutions, we truly have a unique offering for our distributors and partners.